The new service will be made available on a range of devices – PCs, Macs, laptops, tablets, mobile phones, games consoles and connected TVs – and will offer Sky's premium content on a non-contract basis. While Sky is a little fuzzy on the details, it has said that the content will be available either as a pay monthly deal, or on a pay as you go basis. Speaking about the new service, Sky's chief executive, Jeremy Darroch, said: "The launch of a second brand is an exciting opportunity for us and the rationale is very simple. Having two brands will allow us to meet the needs and preferences of different customer segments more effectively. "We'll offer two distinctive ways to watch: the market-leading full Sky service for the whole family, complete with the widest range of channels, high quality products like Sky+, HD and Sky Go, and the peace of mind of a monthly bill; or the flexible, more spontaneous, pay-as-you-go service of Now TV. 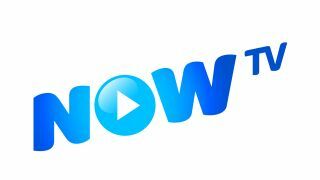 "Because Now TV will also be 'powered by Sky', customers will still know that it will give them the best, exclusive content and a high quality experience, from a provider they can trust. Either way, we believe we can offer even more customers a product that's just right for them." The service will put Sky in direct competition with the likes of Netflix and Lovefilm - which means the UK is going to have even more choice as to where to get its on-demand movie and TV content. The Now TV UK release date has been pegged for Summer 2012. Head over to NOWTV.com for more details.